We use reliable and reputable carrier. A carrier is responsible for delivering to your house. It is a buyer's responsibility to move the arrived products to a dry and safe place. Signature required at the time of shipment. Please inspect all equipment carefully upon arrival before signing delivery receipt. Check the items for mismatch before unloading them and before removing all box covers in order to replace the mismatched items we could as soon as possible. Count the number of items, make sure your count exactly matches the count printed on the delivery receipt. Inspect all equipment carefully for damage. If occasionally shipping damage does occur damaged products must be refused right away, before the delivery/freight company leaves customer’s premises, don't sign delivery receipt and ask driver to take damaged products back. We must be notified immediately in case of damage, mismatch or shortage (phone 510-788-3707), if there is nobody available to take your call please leave a voice message, specify your problem, your name, and phone number. Failure by the purchaser/recipient to note any shortage, damage, defect, nonconformity or irregularity in the shipping documents shall be construed as a declaration by the purchaser/recipient that the goods were received in full in good order and condition and free from any defect, damage or non-conformity. You are not obligated to sign for any damaged freight from the shipper; however any equipment you sign for does become your property, therefore it is your responsibility to claim to freight carrier for compensation, all damages must be noted on the delivery receipt. If the bill of lading is signed and does not have damages or shortages noted on it neither the freight line or Shark Technologies LLC will be liable for the cost incurred to replace those parts which are damaged or lost. We have no proof the freight was damaged or lost in transit if the bill of lading does not state that the freight was damaged or something was lost. The freight line will deny all claims and Shark Technologies LLC will have no recourse to hold the freight line liable for damages or loss. We offer 30 day return policy for all of our products. Please contact us for returns within the immediate 30 day period, following your purchase for an RMA number and other instructions to return the equipment. Returned equipment is to be shipped freight prepaid and insured by the buyer and must be re-packed in its original condition and in its original packaging, and be in the same exact shape and condition as received. Once installed, the equipment can not be returned. Additionally, we will refund only the purchase price minus the original freight cost, any third party fees and charges, and our standard non-negotiable 30% restocking fee. *5 Year Compressor - 2 Year on all other Parts* Installation of a mini split must be completed by a licensed HVAC (Heating, ventilating, & air conditioning) company to ensure any issues encountered in the future are not due to improper instalation / workmanship. Hard copy of warranty registration needs to be completed by HVAC technician (installer). Warranty Registration card can be download from www.sharkaire.com. Eventhough mini split setup is below the expertise requirements of central AC systems, these are not "plug-n-play" units that can be properly installed without certain tools any prior HVAC - electrical knowledge. The installation includes electrical, gas, and refrigerant connections and generally regulated by a multiple sets of laws, codes and guidelines, at the federal, state and local levels. The failure to properly install HVAC equipment can raise personal safety and performance concerns. Warranty service - troubleshooting is provided through the contractor / installer and will be upheld as long as policies are observed. Once a non-defective unit is installed by a HVAC company, chances of anything going wrong are very slim and almost all contractors will guarantee there workmanship and provide future service free of charge (installation warranty). If it was determined that the unit is not functioning due to a defect and needs to be replaced, the part will be sent free of charge up to 2 year from date of purchase or 5 years for compressor. 1) The quality product you have purchased carries a limited warranty issued by Palm Technologies, LLC. (herein referred to as PT), the supplier of Sharkaire branded Mini-Split Air Conditioner products, as per the following details: a) Two year limited parts warranty: Palm Technologies warrants to the original owner of its products that should they become defective due to the quality of the materials or workmanship, under normal use, for a period of two years from the date of unit is shipped from our warehouse, PT, at its sole discretion, will send any defective part, without any cost. b) Additional three years Compressor Warranty: PT further warrants to the original owner of its products that any compressor fails due to a defect in materials or workmanship, under normal use, during the three years following the initial two years warranty period, PT will provide a replacement compressor, without any cost for the compressor up on receiving the defective compressor. c) Remaining Warranty: Replaced parts or compressor shall carry the same warranty, for a period covering only the remainder of the original warranty period applicable for the entire product, in which the part has been replaced. 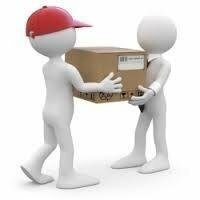 d) Shipping Charges: Shipping charges for any replacement part are the responsibility of the owner. In addition, although rarely practiced, PT reserves the right to demand for the defective parts to be returned to PT, freight prepaid, before a replacement part can be sent out. e) Labor cost, materials and other costs: Any labor costs and/or the costs for the supplies or materials used or purchased in the field for the replacement of the defective part remain the responsibility of the owner. No other costs, involved in diagnosis, transportation, servicing, repair, replacement, installation, removal, shipping, etc., are to be covered under this warranty. As most professional installers will guarantee their work, owner should seek if any such expenses would covered by the installer instead. 2) Obtaining Warranty Service: To obtain warranty service, owner must contact with the installer to determine the cause of the failure and diagnose the system. Upon determination by the installer that the failure is caused by a defect covered under this warranty, the installer of the equipment or the owner, may contact PT and request warranty replacement part. When contacting, the following forms and information must be provided: a) Copies of the official warranty registration form ( can be found ar www.sharkaire.com) , warranty acknowledgement letter received and any purchasing documents. b) A report prepared by a quailed mechanic, indicating the nature of the defect, name and model number of the defective part, failure date, and if known, the reason for the failure and the remedy determined. c) PT might ask for photos and other information it deems necessary prior to processing the warranty claim. 3) Limitations for the warranty: This warranty is further subject to below conditions: a) Transfer of ownership or product: Only the original owner of the product, while the product is still installed in the original place of the first installation is eligible for warranty. b) Any accidental or natural damages, negligence and misuse, improper or poor maintenance, alterations and modifications, repairs by unqualified persons, installation by unlicensed persons or contractors, installations that do not take place within 30 days of purchase date, electrical perils due to lightening and other fluctuations in the power supply, any other damages caused by acts of God, poor environmental conditions such contamination by high levels of salt or chemicals in the air, under sizing, over sizing, improper matching or improper selection of the equipment for the required application will render this warranty void. c) Failure of operating the equipment strictly according to the conditions outlined in its manuals and providing maintenance with at required intervals will render this warranty void. Proper and regular maintenance, at least once annually, must be provided for the life of the equipment. 4) The remedies provided above are the sole remedies for any failure of PT to comply with its obligations. Correction of any non-conformity in the manner and for the period of time provided above shall constitute complete fulfillment of all the liabilities of PT, whether the claims of the claimants are based in contract, in tort (including PT's negligence or strict liability) or otherwise with respect to or arising out of the products furnished hereunder. PT, its contractors, dealers, and supplier of any tier, shall not be liable in contract, in tort (including PT's negligence or strict liability) or otherwise for damage or loss of other property or equipment, loss of profits or revenue, loss of use of equipment or power system, cost of capital, cost of purchased or replacement power or temporary equipment (including additional expenses incurred in using existing facilities), claims of other's to the claimant, or for any special, indirect, incidental, or consequential damages whatsoever. The remedies of the owner set forth herein are exclusive and the liability of PT with respect to any claims, arising from the sale and use of the products sold under this agreement or anything done in connection therewith such as the performance of the breach thereof, or form the manufacture, sale, delivery, resale, or use of any product covered by or furnished under this agreement, whether in contract, in tort (Including PT's negligence or strict liability) or otherwise shall not exceed the price of the product or parts on which such liability is based. 5) This warranty is not transferable. 6) No person or entity is authorized to change the terms and conditions outlined in this warranty, in any respect, or to create any additional obligations or liabilities for any party involved. 7) This warranty supersedes any and all prior warranty agreements between the parties and constitutes the complete, final and exclusive understanding of the parties with respect to the subject matter. All prior negotiations, representations, or promises, whether oral or written, of either party shall be deemed to have been merged herein. 8) If any part of this warranty shall be invalidated for any reason, such part shall be deleted and the remainder shall be unaffected and shall continue in full force and effect. 9) This warranty shall be governed and construed solely according to the laws of the United States of America. Any action to interpret or enforce the terms or conditions of this warranty shall be brought only in a court of appropriate jurisdiction in Fremont -Alameda County, State of California, USA. 10) Some states of the USA allow limitations on how long an implied warranty lasts or do not allow the exclusion or limitation of incidental, special or consequential damages. Therefore, some of the above limitations or exclusions may not apply to you. 11) This warranty gives you specific legal rights, and in addition you may have additional rights, which vary from state to state in USA.